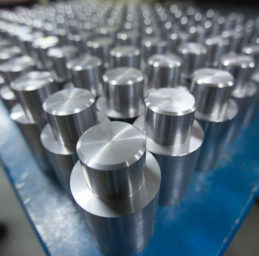 Machining is the heart of everything we do. Our other divisions, along with many US Manufacturers, rely on our skilled machinists to produce quality parts everyday. Whether it’s a key part to get you running or a part for production that you can’t accommodate in-house, you can depend on the quality and speed of service at APT. 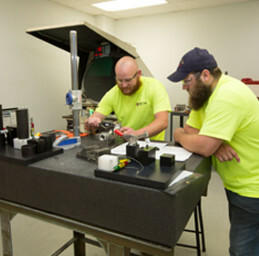 With some of the finest machinists in the area, our years of experience will keep your plant up and running. 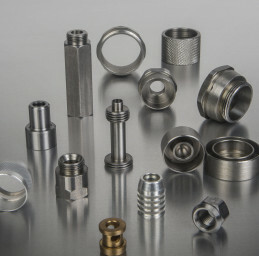 Our CNC machinists are some of the most skilled in the area. We began as a job shop, and has shaped our hard working culture from day one. With production playing an importance in our business today, we strive for quality and consistency like never before. 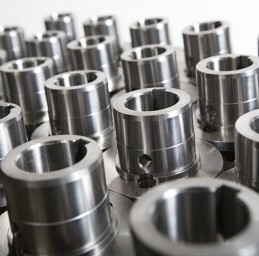 Our ACME department can produce high-volume manufacturing of a variety of turned components. We feature three ACME Gridley screw machines with extremely experienced machinists to run out-of-the-box, challenging parts every day. An ISO 9001 certified company, we have the controls in place to ensure consistent, quality products. It’s imperative to your business to have quality parts, and our planning, control, and documentation processes will put you at ease.